Hicksville Road connects Glen Cove with Hicksville and Massapequa, with its north terminus at Mill St. in Glen Cove and its southern terminus at Merrick Rd. in Massapequa. 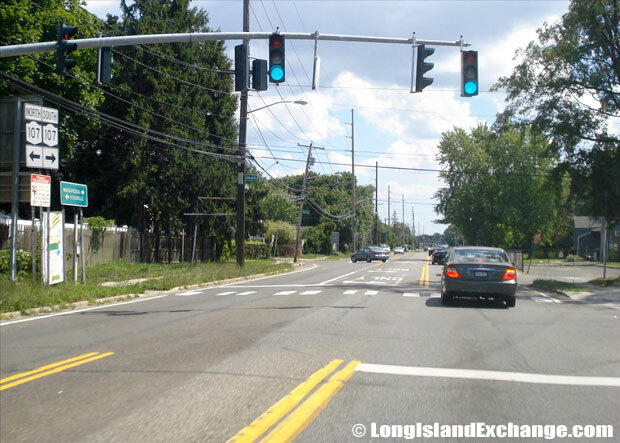 It is a major through highway for Long Island traveling North and South through Nassau County. 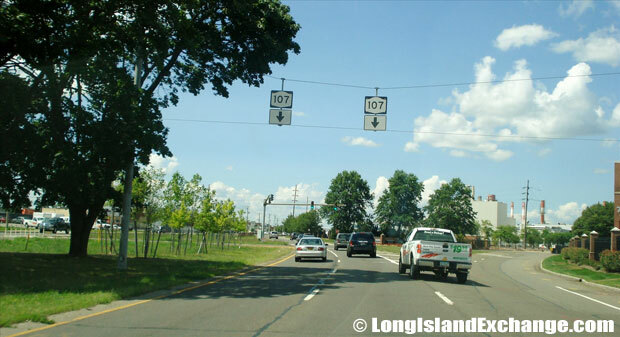 Known by many names in different parts of New York it is popularly known as New York Route 107. 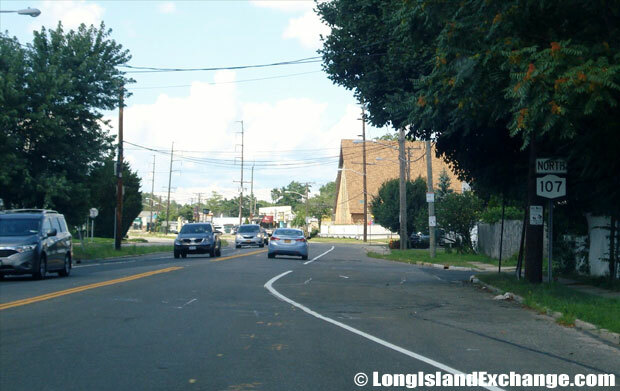 Other sections of the way are known locally as Massapequa-Hicksville Road, Broadway, North Broadway, Cedar Swamp Road and Glen Cove Arterial Highway. 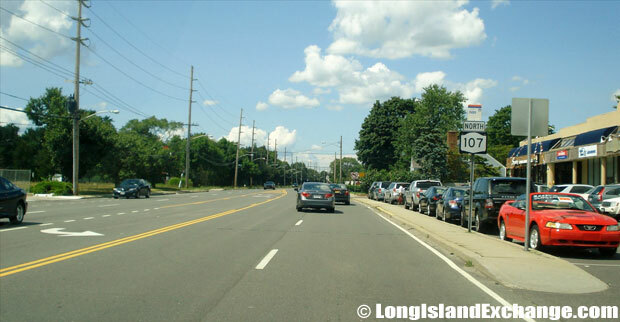 Before the Glen Cove Arterial Highway section was completed in 1965, NY 107 continued along Cedar Swamp Road and Glen Street. It was constructed as a bypass of Glen Street in the mid sixties. This segment of Route 107 in the City of Glen Cove was initially maintained locally and was thus shown as CR 107 on county maps. The northernmost one-mile segment of NY 107, the Glen Cove Arterial Highway aspired for limited-access. 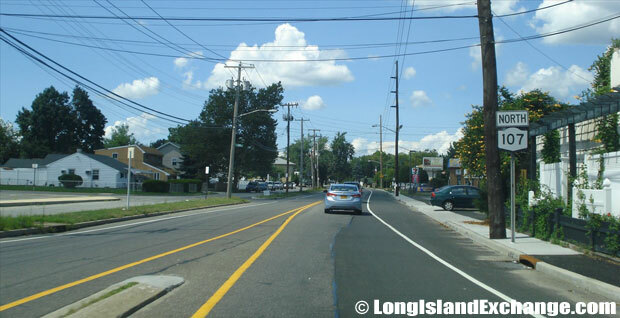 Near the Hempstead Turnpike (Route 24), Hicksville Road is a four-lane highway but after about a Hicksville Road becomes a six-lane highway. Governor George E. Pataki, Senate Majority Leader Joseph Bruno and Assembly Speaker Sheldon Silver signed a Memorandum of Understanding (MOU) that grants 30 million for local communities to develop strategies to cleanup, redevelopment and reuse of brownfields to help to revitalize neighborhoods while providing a cleaner, healthier environment for all New Yorkers. 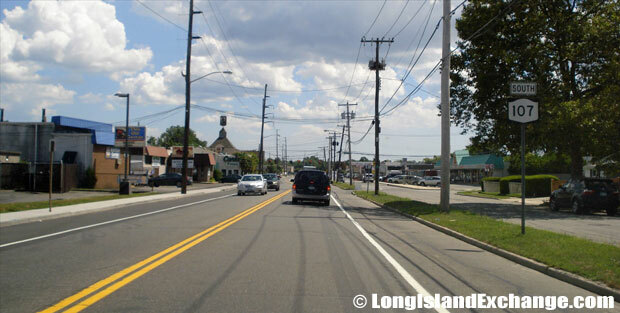 The Town of Oyster Bay has planned a Pre-nomination Study for an area located in Hicksville along State Route 107 (South Broadway/Hicksville Road) with 10 potential brownfield sites. Hicksville Road passes many well- known structures. Milleridge on a beautiful estate offers traditional American cuisine at the Inn and the Carriage House is the perfect venue for large parties. The authentic historic site dates back to 1672 and history is recreated in Milleridge Villages with colonial vintage shops. The College at Old Westbury SUNY has its main entrance to the college on the west side of Route 107 approximately one mile north of Jericho Turnpike. The prestigious college stands on a wooded 604-acre campus. Broadway Mall, which comprises nearly 100 stores, boutiques, service providers and eateries including such notables as Stern’s, The Gap, American Eagle, Old Navy, Lerner and The Limited stands along Hicksville Road. Broadway Mall is also home to a state-of-the-art 12 Screen Multiplex Cinema. Episcopal Health Services Inc is on Hicksville Road as a part of the Bethpage Business Park. Other buildings are the huge Northrop Grumman complex, a red brick building and the Bethpage Market Square shopping plaza, Quality Plaza, and the Catapano Brothers Nursery. EAB Bank building and the Winthrop University Hospital Dialysis Center are also located nearby. The Hagedorn Little Village School and the Jack Joel Center for Special Children is located at 750 Hicksville Road, Seaford the former site of the main building of the Massapequa General Hospital. The school is set back from Hicksville Road. The Saint James Catholic Church at Seaford and the convent and School connected with are also on Hicksville Road.